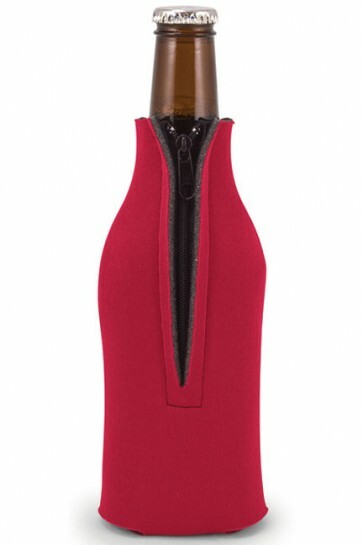 The Zippered Bottle coolers cover your whole beer bottle and keep your beer cold. Made in the USA with a cloth exterior with felt lined interior. These beer koozies are perfect if you plan on using them for bottles. They hold the standard 12 oz beer bottles with a snug fit with a zipper on side.